The Canon EOS 5D Mark III is the much awaited successor to the EOS 5D Mark II released many years ago in 2008. This ‘affordable’ full-frame digital SLR incorporates all of Canon’s latest features, bells and whistles. Before we post our in-depth review of the Canon EOS 5D Mark III, we’re going to tease you a little by posting this Canon EOS 5D Mark III versus Canon EOS 7D comparison which compares the cameras in physical terms, on paper in terms of features and in image quality (we took both cameras out for a long walk and snapped comparison photos with the same lenses). Best news ever? NO beta or pre-production stuff here! A production-level Canon EOS 5D Mark III running firmware 1.07 was used for image quality tests. 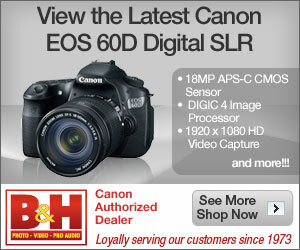 Also remember to view full-sized photos in the Canon EOS 5D Mark III vs EOS 7D photo gallery. Check out my review of the Panasonic Lumix GF3, a very compact interchangeable lens camera. Head on to the Panasonic Lumix GF3 photo gallery to view photos taken using the camera. Here’s the photo gallery for the Panasonic Lumix GF3, a compact little interchangeable lens camera from Panasonic. Read up about the camera in our in-depth Panasonic Lumix GF3 review! Just thought I’d post a teaser photo of the Nikon Coolpix S3300, the affordable, easy-to-use camera we have been testing; whose review we will be posting tomorrow. The Nikon Coolpix S3300 is compact, light, simple, stylish and costs under $140! In the meantime, I’ve uploaded sample videos from the Coolpix S3300 which you can check out on our YouTube channel… along with sample movies taken using other camera’s we’ve reviewed since last year.